Wow, Chrissy, this is just plain gorgeous!! You make me want to work on my own craft room! 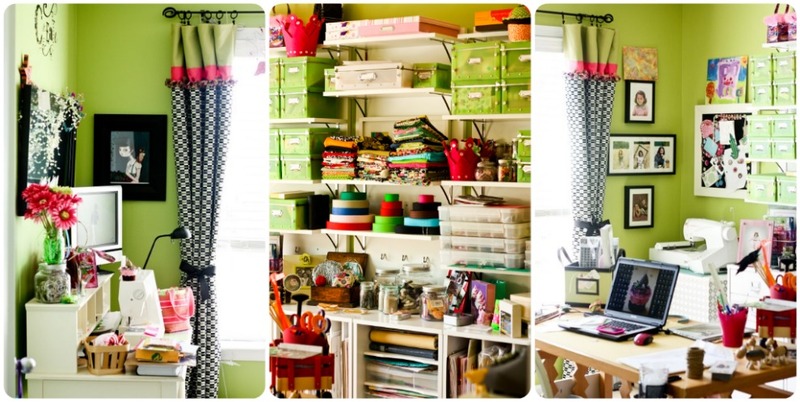 Love your craft room! It's so cute!! It's very bright and cheery! I wish I had a craft room like that! 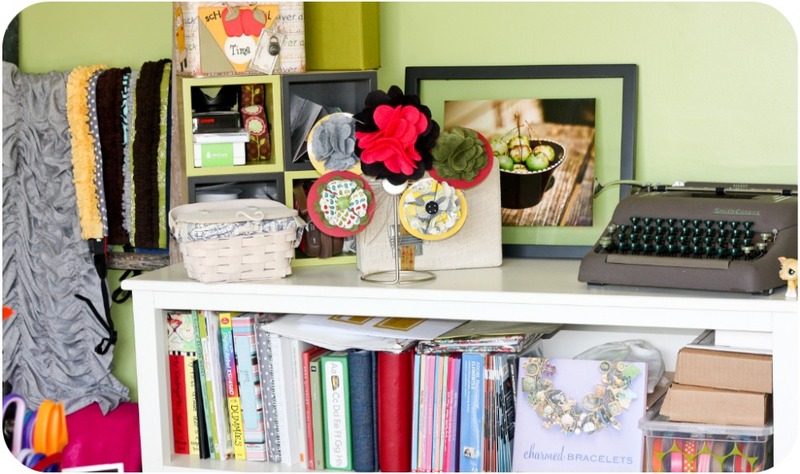 That is the cutest little crafty space I have ever seen! What a HAPPY space it is. Love the sand and rock jars. Love all the ribbon...and fabric! It's as CUTE and HAPPY as you are! I've got to create my space! 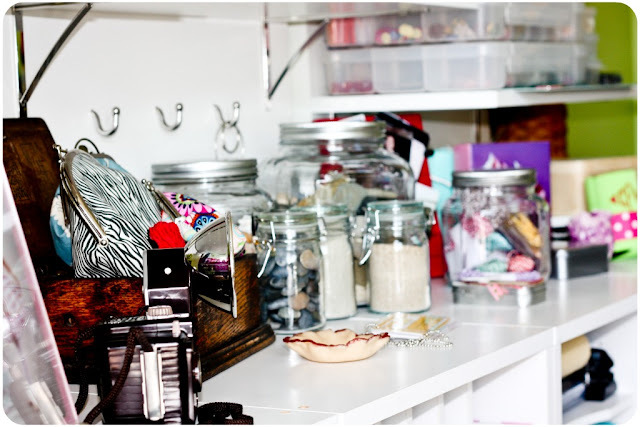 I love this space, so fun to see where you create all your goodies! This room is amazing! Love it. Wow Chrissy, this room is so bright, fun and inspiring! I love it!! Granny Smith LOVE!!! I love the colors and the light, and the shelving. Swoon! I love it! It looks so easy to find things! I love your brightly colored studio! 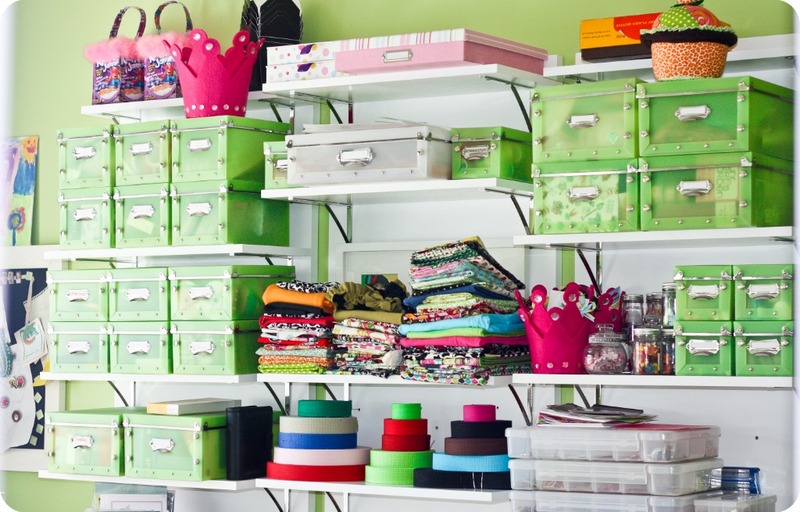 Great storage ideas too! Wow! What a beautiful space. I hope that my new studio can be half as beautiful as yours! oh my goodness! i love, love, love your creative space. i just reorganized mine too but doesn't look as comfy and cozy as yours! here from sandyalamode. i know i follow you on twitter now following your blog too! my first time here but i will be coming back! That is by far one of the most gorgeous craft studios I've ever seen. I'm sooo jealous!! I love all of the green boxes...and the jars...and...and...and. What a beautiful craft space! Breathtaking! Truly, a fabulous space. Love your craft space! 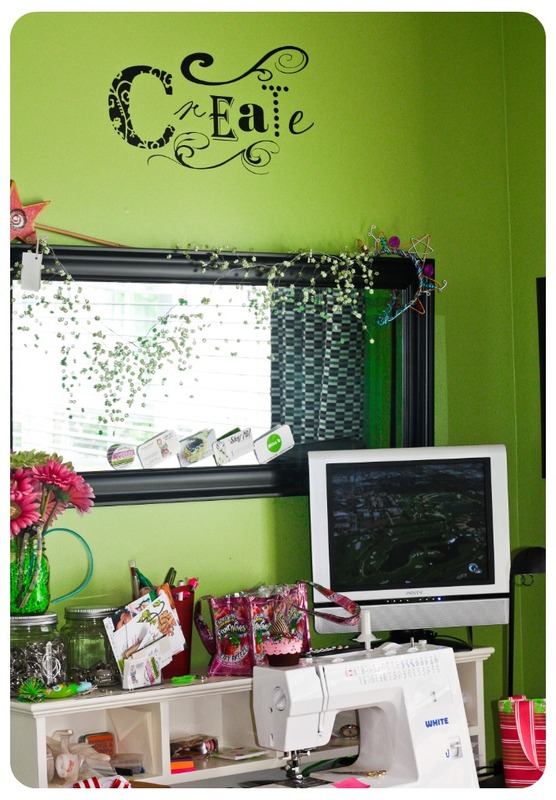 Your CREATE vinyl on the wall is KILLER!!! Hi there! I'm in the middle of transforming my formal living room into my craft room! I'm hosting a linky party to get some inspiration and would love for you to link up yours! I love your craft space! The walls in my craft studio are the same color. The green must makes me so happy!